Unity is a positive, progressive, practical approach to spiritual living, based on the teachings of Jesus and the power of prayer. Unity honors and embraces the universal truths of all religions and respects each individual’s right to choose a spiritual path. The Unity movement was founded in 1889 in Kansas City, Missouri, by Charles and Myrtle Fillmore, as a healing ministry based on the power of prayer and the power of our thoughts to create our own reality. After Mrs. Fillmore’s remarkable healing using prayer and affirmations, many friends became interested in how she accomplished this healing, which led them to share the Truth principles. Unity grew from small interdenominational prayer circles in living rooms into a ministry of prayer and publishing, and ultimately over 1,000 churches and study groups internationally. 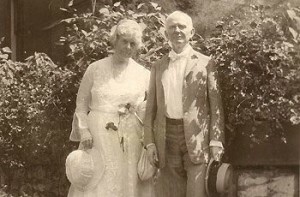 Throughout the years, both Charles and Myrtle became accomplished healers and teachers. Unity continues to put into practice a truly ecumenical approach. Unity sees itself as a vehicle for instruction, inspiration and prayer support for spiritual seekers, regardless of their religious affiliation, Christian or other. Rather than a denomination, locked in tight parameters that restrict, Unity views itself as an ever-expanding expression of God’s love, life, and peace. Unity believes in the oneness of all people and places emphasis on similarities rather than differences. God is spiritual in nature and is source and creator of all. God is loving, good and present everywhere. There is no other power aside from God. We are spiritual beings, created in God’s image. The spirit of God lives within each person; therefore, all people are inherently spiritual and good. Being spiritual in nature, we too are creative. Our life experiences are created through our ways of thinking and believing. 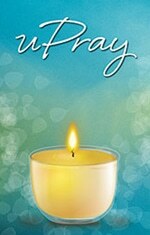 Through Prayer and Meditation we reawaken to our natural state of communication with God. Affirmative prayer and denials are tools we use to bring our thoughts into greater alignment with God. Knowledge of spiritual principles is not enough. We must actively incorporate them into our daily lives. Some aspects of the Unity movement are denominational and some are not. For example, there are more than 1,000 Unity churches and study groups affiliated with Unity Worldwide Ministries. This is a denominational aspect of Unity. In addition, the Unity Institute at Unity Village, Missouri serves as the education arm of the movement, training Truth seekers and future spiritual leaders and ministers. However, the majority of the work done at Unity World Headquarters at Unity Village involves prayer, publishing, and educational services to people of all faiths. These nondenominational aspects include the prayer ministry, Silent Unity; the publication of Daily Word, Unity’s nondenominational inspirational monthly magazine; retreats; as well as continuing education classes that are open to everyone and teach Unity principles in nondenominational settings. There are over 1,000 Unity churches and groups worldwide. The worldwide headquarters of Unity is located at Unity Village, MO, just outside Kansas City, MO. The Mediterranean-style campus includes 1,500 acres of beautiful countryside including formal gardens, an extensive metaphysical library, bookstore and the Unity Village Chapel. Click here to see a short video tour of Unity Village.